Llorente started in the Spurs, who failed a penalty with 2-0. They join Arsenal, Newcastle, Burnley, Everton and West Ham as Premier teams that have fallen. 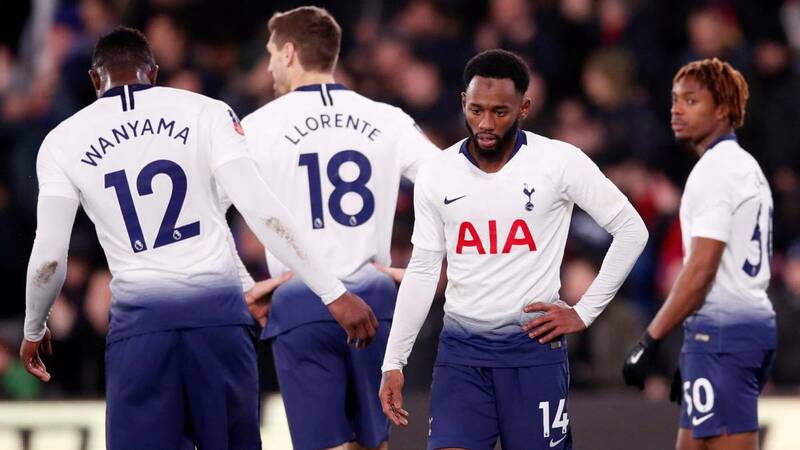 The Crystal Palace reached the eighth-finals of the Cup of England at the expense of Tottenham, unable to overcome the good start of his opponent, in the fourth round tie (2-0). Mauricio Pochettino's painting caused the absences of Harry Kane, Dele Alli or the Korean Son Heung-min. Spanish Fernando Llorente led the attack of the 'Spurs', who squandered a penalty that could boost them in the game played in Selhurst Park. Connor Wickham, in the 8th minute, opened the scoreboard for the whole of Roy Hodgson, who extended his lead in the 34th thanks to Andros Townsend. Shortly before halftime, Tottenham had their best chance in the match, but Kieran Trippier missed the penalty. Crystal Palace will be in the draw for the round of along with Bristol City, Manchester United, Derby County, Doncaster Rovers, Manchester City, Watford, Swansea, Millwall and Wimbledon, who survived the fourth round. The Tottenham, on the other hand, is added to the list of teams of the Premier that fell in the tournament: Arsenal, Newcastle, Burnley, Everton and West Ham.